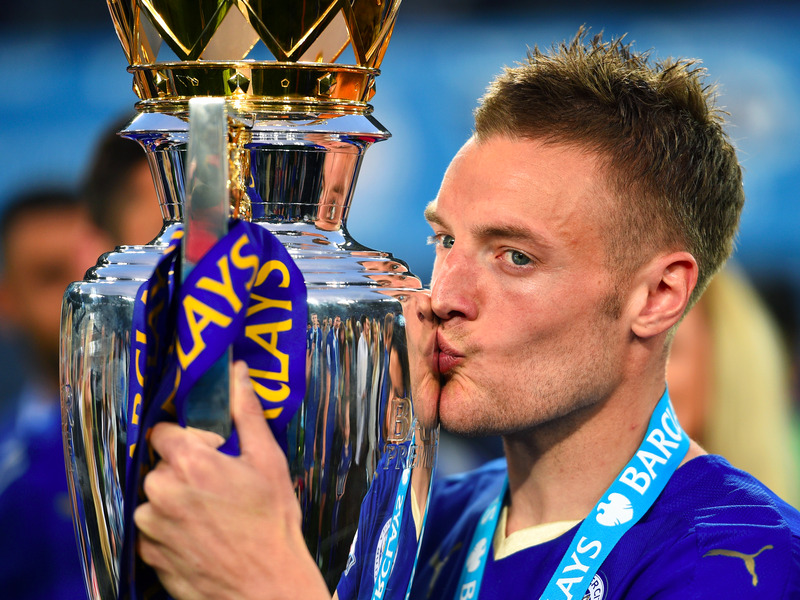 Shaun Botterill / Getty ImagesJamie Vardy has been in demand since Leicester City won the 2015/16 Premier League. Leicester City FC — the team which won last season’s Premier League against 5000/1 odds — announced that Jamie Vardy has signed a new contract with the club set to last four years. The news appears to put to end speculation that the England striker would make a move to Arsenal. Leicester City have today (Thursday) agreed with the representatives of Jamie Vardy to extend the England international’s contract with the Premier League champions for at least a further four years. Both parties hope that this announcement will end recent speculation regarding Jamie’s future and confirm his long-term commitment to Leicester City Football Club. Jamie will continue to focus all of his efforts on trying to achieve success with the England team at the European Championships in France. There will be no further comment from either the Club or the player on this matter until the conclusion of the tournament. Arsenal manager Arsene Wenger had been open about the club’s interest in Vardy in the run-up to Euro 2016 — which Vardy is playing for England in — but over the weekend Wenger conceded that Vardy would probably stay at Leicester after all. Vardy scored for England against Wales in a 2-1 win after being brought on as a sub, but despite making the starting line-up against Slovakia in the next game the match finished in a goalless draw. Manager Roy Hodgson is once again left to decide who will begin in their next game against Iceland on Monday June 27. In other transfer news, new Manchester United Manager Jose Mourinho looks set to sign Swedish superstar Zlatan Ibrahomvic, though his potential inclusion in the Rio Olympics could push back his start.